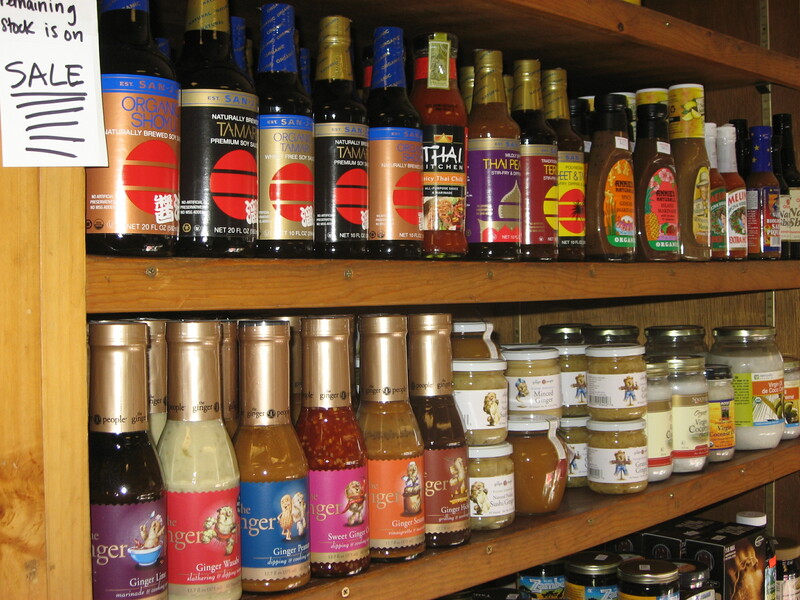 Glut offers a wide selection of healthy condiments. Beside the bulk granolas we stock Glut carries several natural cereal products by Arrowhead Mills, Nature’s Path, Barbara’s Barbara’s Bakery, and Peace Cereal, and Erehwon. Trying to balance quality and cost we stock many sugar free, organic, and local fruit based spreads. A long time favorite produced in nearby Frederick County, Maryland McCutcheon’s varieties are regularly stocked at Glut. For organic sugar-free or cane sugar based jams look for Crofter’s Organics. We stock East Wind Nut Butters, made at the sister intentional community to our local tofu provider, in both organic and conventional varieties. Also in stock you will find jars of raw and roasted cashew, sunflower, almond, walnut, cacao, and pecan butters. Sample sizes of Artisana butters give you a taste at a small price, so you know if it is worth investing in the whole jar. If you don’t see your preferred nut or seed based butter make a request and hopefully we can stock it for you. We also offer the option to grind your own right here at Glut! Find out peanut and almond nut butter grinders in the window near the bulk herbs and spices. 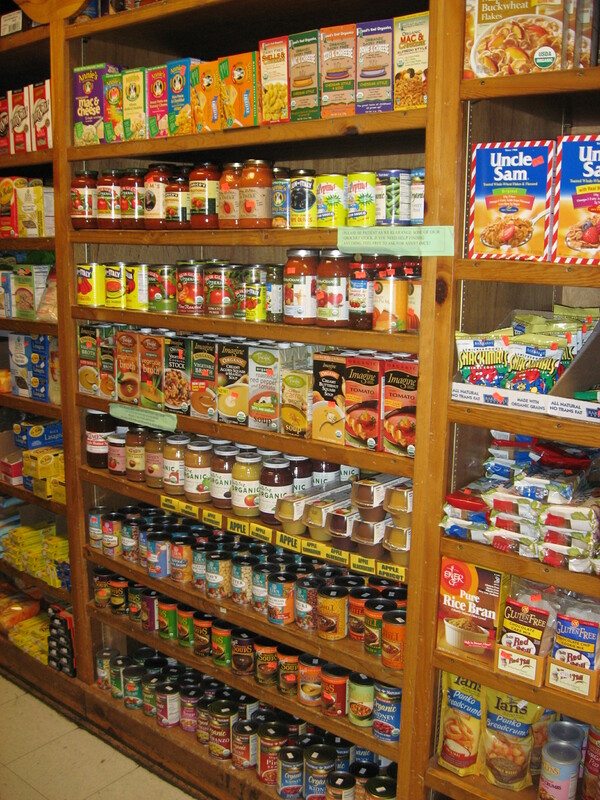 We carry both whole grain and semolina pastas in a variety of shapes and package sizes. There are also several varieties available in bulk, including gluten free pasta. With expanding pasta preferences we have started to stock Sea Tangle Kelp noodles, Miracle Noodles, and several rice pastas. Bionature and Vitaspelt and several varieties in packages. Calbee Snap Peas, Good Health, Lundberg, and Boulder Canyon. A popular product for the last few years has been Annie Chun and SeaSnax brand seaweed chips. From pizza sauce to pasta sauce, there’s a lot to choose from. Do you like white corn or blue corn tortilla chips? We have both, plus others. Because sea vegetables soak up their ocean environments they contain 10 to 20 times the minerals and vitamins of land vegetables, are high in iron, and low in sodium. Costal people all over the world have been harvesting and using seaweeds for a variety of purposes for centuries. Most sea vegetables are air and sun dried leaving them a raw food, and many make great vegetarian culinary replacements in a wide range of recipes. Maine Coast Sea Vegetables which harvest their organically certified wild plants along the sparsely populated coastal areas between Bar Harbor and Eastport, Maine. Eden Foods Sea Vegetables, except Eden Organic Dulse, come from Japan where they are continuously fed and cleansed by Arctic Currents, and collected off shorelines that are protected as national natural treasures. Eden Organic Dulse Flakes, is hand harvested in a sustainable manner from the Grand Manan Island, New Brunswick, Canada. 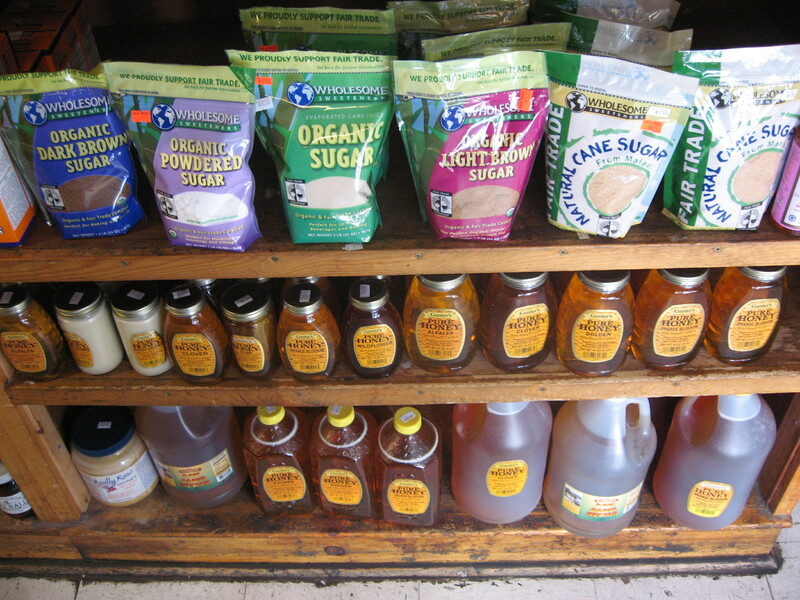 Emerald Cove Foods is a product of Great Eastern Sun, an Asheville, North Carolina company which has been providing organic, nutritional products for over 35 years with a specialty in macrobiotic products. 90% of their products are certified organic, all of their sea vegetables are sourced from sustainable sources. Glut offers a variety of sweeteners that are alternatives, such as, Stevia, Agave, Barley Syrup and different flavors of honey.